Wouldn’t life be a lot easier if every time you had an opening to fill, you knew exactly how many people have the profile you are looking for, where they are located, what schools they graduated from, and what they value the most in a job? That’s why every year we compile talent pool reports which reveal exactly this -- what’s the supply and demand of talent across major industries and how you can use that to your advantage. This year we have created over 4,500+ global reports and shared many of them during our Talent Connect in San Francisco. To access the reports if you were not at Talent Connect, either contact your LinkedIn representative or a Talent Solutions Specialist to find the talent pool reports that best fit your hiring challenges. 1. Where is the talent located, what is the size of the talent pool, and what’s the intensity of the hiring competition. To make these reports relevant to you, we defined the audiences using the same search terms we believe recruiters would use to find talent on LinkedIn. 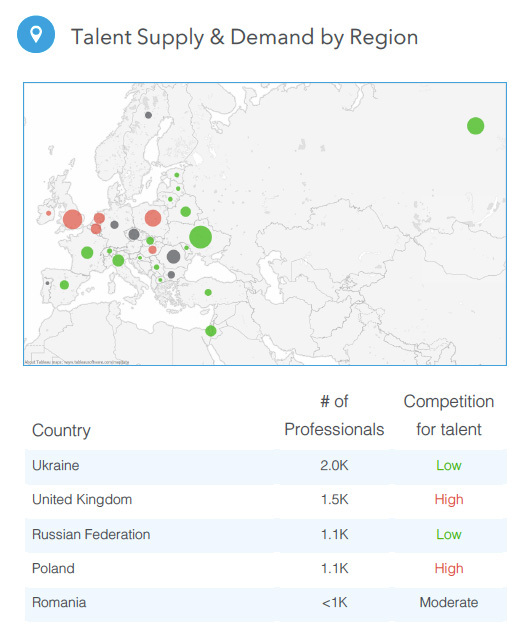 In each report, you will find a map similar to the one below that’s from the Europe Java Developer Talent Pool. This map will show you the number of Java Developers in the country, and the competition you will face from other recruiters when hiring for that talent. As you can see from this map, the UK has a lot of Java Developers, but the red colour indicates that you will also face high competition there. If you were to focus instead on large untapped markets like Ukraine and Russia, you may have an easier time hiring Java Developers. 2. What professionals are looking for in a job. So now that you know where the talent is, and the competition you’ll most likely face, it’s time to figure out how you can make yourself more appealing to this pool. 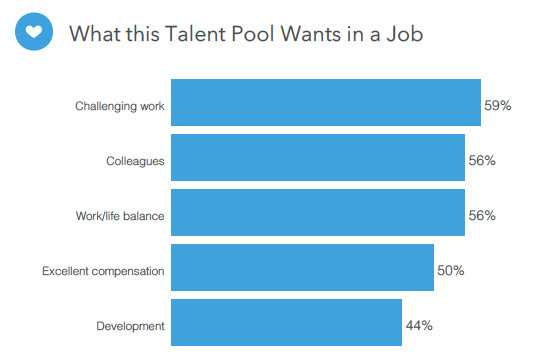 To help with that, every talent pool lists the top few things candidates value the most in a job. 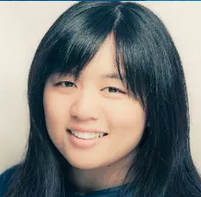 It turns out excellent compensation isn’t the sole driver for these professionals. Challenging work tops the list -- 59% of Java Developers said this was important to them when considering a job opportunity. These insights will help you tailor your approach so you spend less time searching for candidates, and more time closing exciting prospects. Take a look at the available reports and if you don’t see what you need, contact us to get the report you’re interested in.